It’s been nearly two years since my last medical ‘check up’ – including blood lipid tests. Is feeling good, looking healthy, clearer skin, being cleared headed and happy and able to easily perform strenuous physical work a true sign of health today and years to come? Is walking regularly, eating mostly home cooked meals, living with low stress and sleeping well, healthier than the seemingly normal position of taking medications for health issues whilst nightly spending hours on the sofa in front of the TV and mindlessly ‘snacking’ ? Though I don’t know my blood lipid numbers, I think it’s likely some of them don’t fit in to the statistical average numbers the lab has on today’s society. I’m guessing my current health, percentage of body fat, lack of medications taken, lack of stress, amount of sleep and mobility doesn’t fit statistical average numbers for today’s society either. So should I conform? 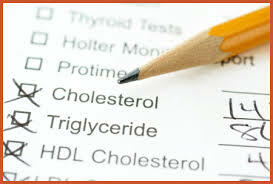 – ‘Do the right thing’ and get my blood lipids tested and follow standard advice if a particular lipid is ‘elevated’ ? Should I watch my ‘numbers’ : like constantly watching the car’s speedo whilst driving and maybe not pay so much attention to the road in front of me? I’m currently ‘driving’ without looking at the ‘speedo’, but I have clear view of where I’m going, the traffic & pedestrians, the road conditions, the mind focused and the ‘car’ is in good working order – Is this a dangerous situation? What are the true signs of health?…. Sometimes the best thing to eat is : Nothing.